What is the Best ACT Score for Scholarships? Before you start panicking, thinking you need a perfect ACT score to win scholarships, take a look at some of the real-world scores that scholarship providers are looking for. As you already know, a good ACT score will help you in your college admission process. But have you considered how your ACT score might impact your chances of winning scholarships? 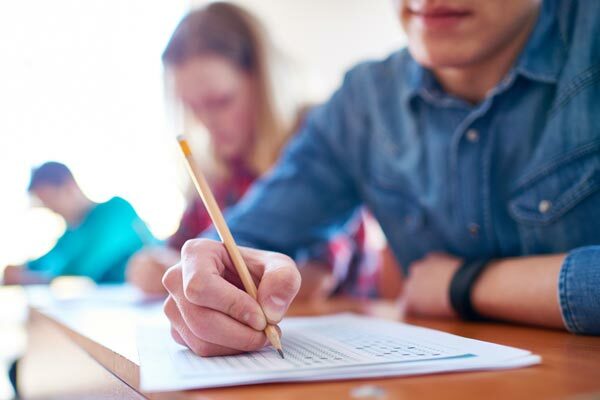 Here’s a look at the ACT scores colleges, universities, and scholarship providers are often looking for—and the scores you should be aiming for. There are many scholarships out there, and they all have different rules and eligibility requirements. First of all, a lot of scholarships don’t even ask for test scores. Among those that do, some scholarships will give you money for a low-20s ACT score. Others want to see a 25 or higher. More competitive scholarships may ask for a 29, 30, 32, and so on. With hundreds of scholarships you could qualify for, it’s best to think of score ranges instead of exact scores. If you want to make sure you have at least some chance at getting scholarships that call for test scores, you need an ACT score in the low 20s at the very least. Yes, the 20–25 ACT range is barely enough to get you in the door of a school. But just getting accepted is often sufficient to get you a grant or two. For example, if you score the 20–26 range (and have at least a 3.0 high school GPA), Mississippi State will give you between $1,000–$2,000 in annual scholarships. Similarly, the University of Reno, Nevada will consider scholarships for anyone with an ACT of 22 or higher. But if you really want the best shot at multiple scholarships, scores in the 25–30 range are better. A 25 on the ACT (and a 3.3 GPA) can get you $4,182 a year at Kent State, for example. And at the University of Maine, you may be eligible for $4,000 a year with an ACT score of 26, or $6,000 a year if you get a 28 on the ACT. Finally, and probably not so surprisingly, the real scholarship potential comes with ACT scores of 30 or higher. With such a competitive score, you can get $10,000 or more in scholarships. The University of Tennessee, Knoxville gives scholarships of up to $32,000 for those with an ACT of 34-36, and gives a still-generous scholarship of $24,000 to students in the 30–33 range. There are many other similar scholarships, such as the University of Colorado Boulder’s awards of $14,000 for those with 31s on the ACT and $20,000 for an ACT of 33 or higher. Well, prepping for the ACT is an article in and of itself! But, in short, you should start studying now. Build up your knowledge of ACT academic content, including good literacy skills and skills in pre-algebra, algebra, and geometry, the most-tested ACT Math topics. Given that nearly all ACT-based scholarships also require a good GPA, working to boost your core academic skills right now is all-the-more important! Have you found any particularly juicy scholarships that required an ACT score? Share the love in the comments! David Racine is a test prep expert at Magoosh. He has a Bachelor of Social Work from the University of Wisconsin—Eau Claire and a master’s in Teaching English to Speakers of Other Languages from the University of Wisconsin—River Falls. He has been teaching K-12, university, and adult education classes since 2007 and has worked with students from every continent. Currently, David lives in a small town in the American Upper Midwest. When he’s not teaching or writing, David studies Korean, plays with his son, and takes road trips to Minneapolis to get a taste of city life.